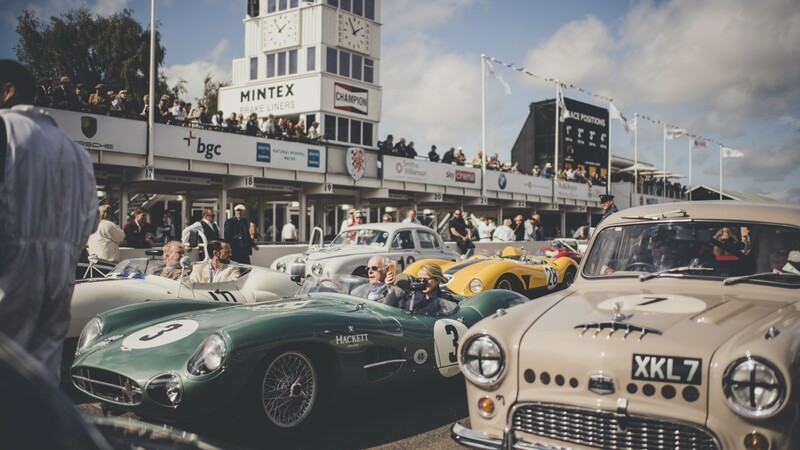 Every autumn, more than 150,000 fashion and motorsport fans descend on a leafy corner of West Sussex to experience the world’s only classic car racing event to be held entirely in period dress, the Goodwood Revival – this year from 13-15 September. 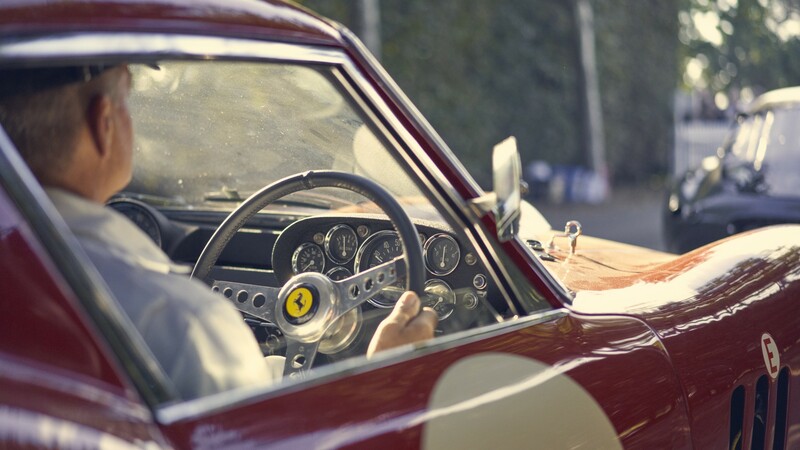 From the moment the gates open, the roar of the most beautiful and valuable grids of racing machines on the famous track fills your ears, while vintage aeroplanes soar overhead and you can feast your eyes on the detailed set-dressing and vintage outfits. 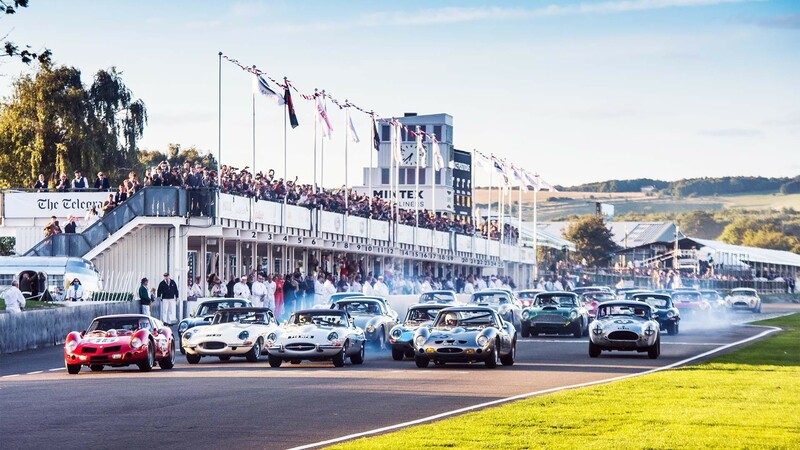 The event began more than 21 years ago when the current Duke of Richmond wanted to revive the Goodwood Motor Circuit, returning it to the golden days of racing he remembered enjoying as a boy. 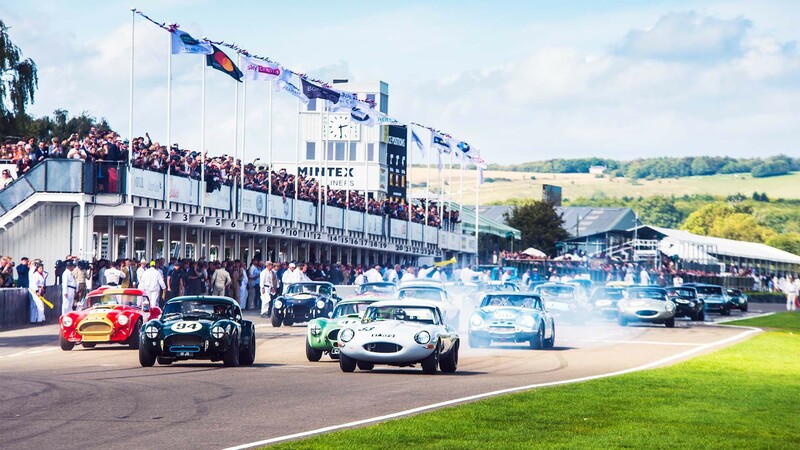 The entire event, from the cars, to the planes, the set dressing and the outfits, is set between 1948 and 1966, when the Goodwood Motor Circuit was the spiritual home of British motor racing. All the top drivers of the day raced here, including world champions Juan Manuel Fangio, Stirling Moss, Jim Clark and Graham Hill. 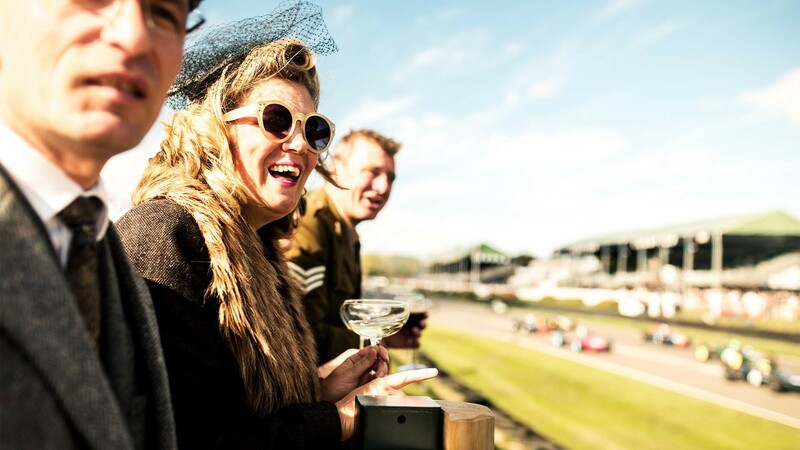 The spectators are as much a part of the show as the exhibits and vintage fashion is celebrated just as much as the motorsport, with a thriving vintage fashion market and a competition to award the best dressed. 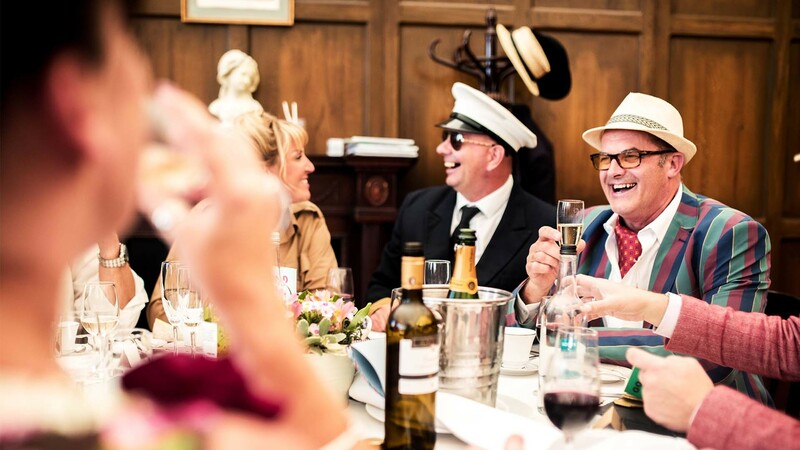 The Officers’ Club gives paddock access, a four-course plated lunch, champagne reception and afternoon tea. to hosting your favourite clients, nowhere does it as well as the Revival. 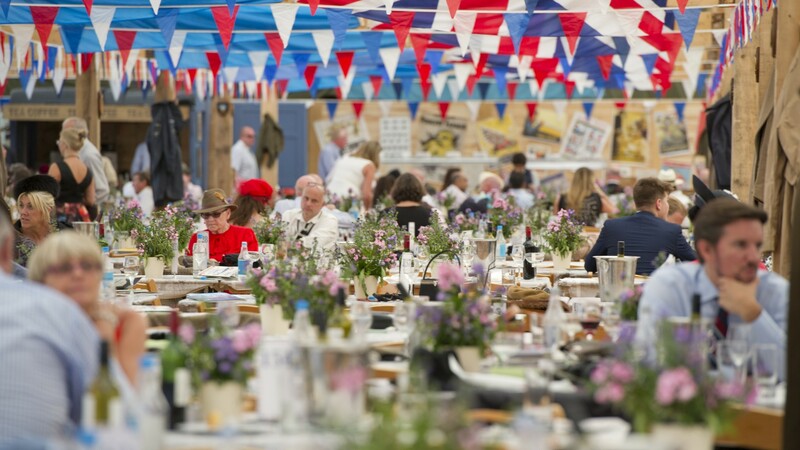 The Mess is the most fun and convivial of all the hospitality options and it’s right on the track on the start line with views up to Madgwick and overlooking the assembly area so you won’t miss a moment of the action. This year’s set-dressing theme will be the National Service Examinations, so actors will be bringing to life the eye tests and weight measurements of the past. 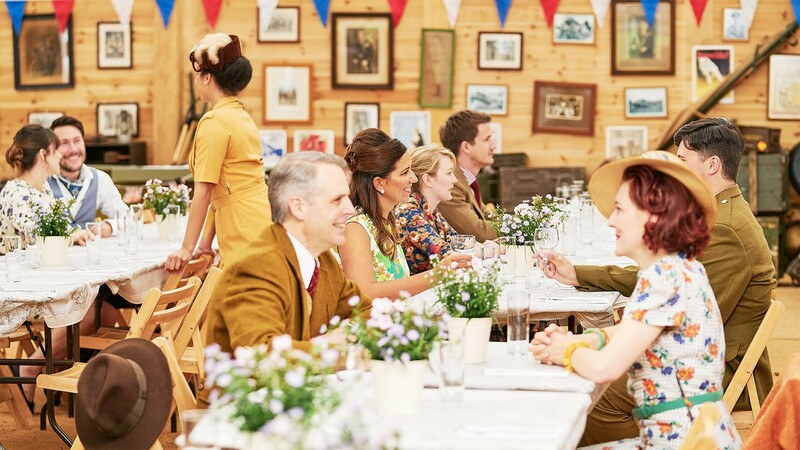 The Mess allows paddock access, and long tables draped with bunting overhead set the scene for a bustling atmosphere. 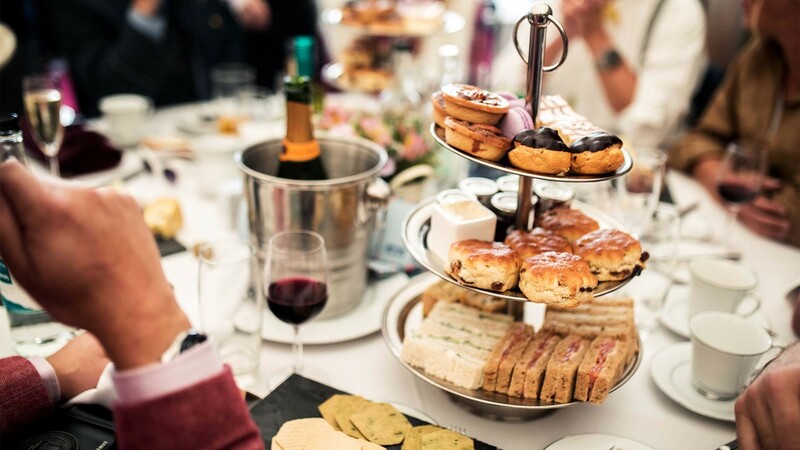 With a variety of lunch, afternoon tea and champagne reception options depending on the day you visit, it’s a wonderful experience. 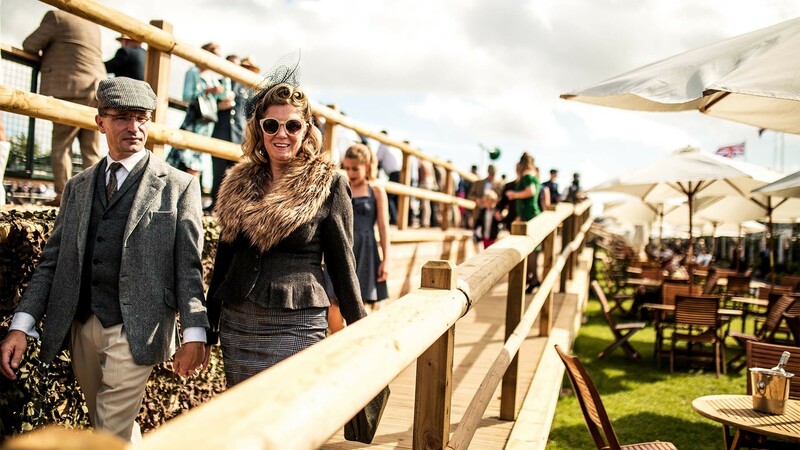 Named in homage to the styling of war time officer’s clubs, this pavilion is smart yet relaxed, a place where guests can be ‘at ease’ and enjoy the camaraderie of the racing. The Officers’ Club allows for private tables and has raised trackside viewing of the start/finish straight up to Madgwick corner. It gives paddock access, a four-course plated lunch, champagne reception and afternoon tea. 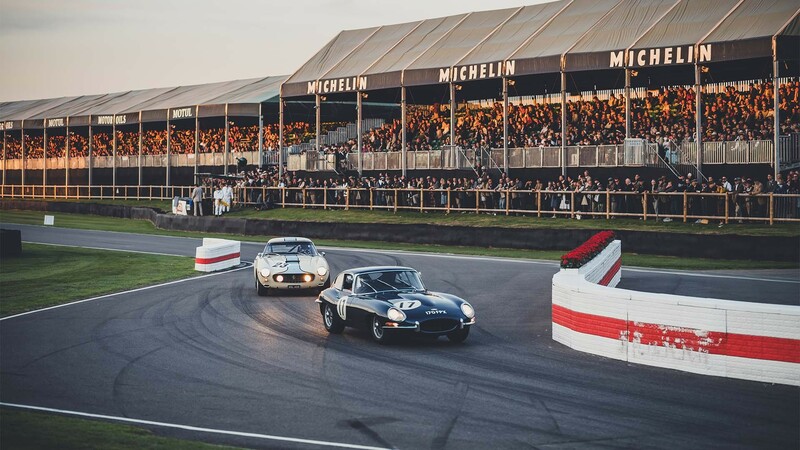 Wheel-to-wheel racing action is at the heart of the Goodwood Revival. 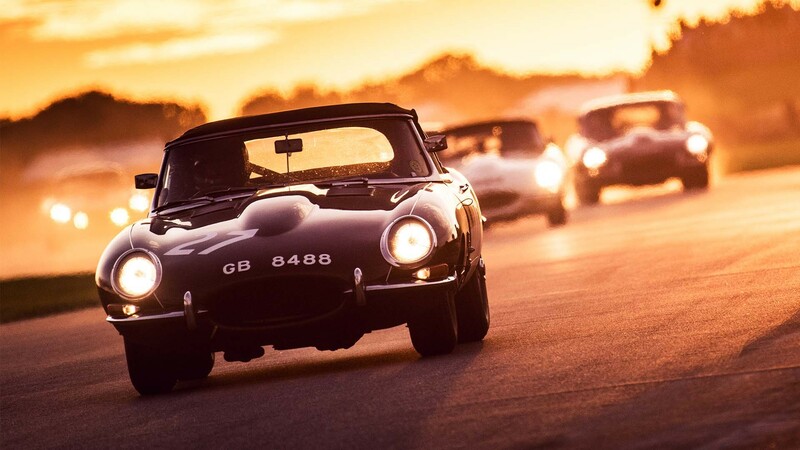 Hundreds of rare and priceless cars, driven by champions past and present, compete for the most coveted trophies in historic motorsport, including the St Mary’s Trophy and the Royal Automobile Club TT Celebration, the most prestigious race on the historic racing calendar. The fun doesn’t stop when the chequered flag drops. Over the Road will see a fairground, cinema shows and much more entertainment is all on offer into the evening. 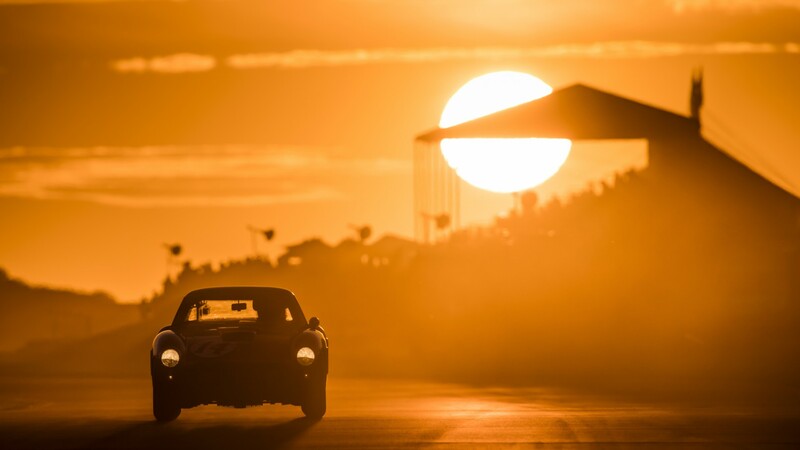 The Revival attracts the finest in historic motor racing talent including a host of famous faces from the motorsport world and beyond, including Formula 1 stars past and present. Freddie March, the Duke of Richmond’s grandfather, has a fascinating history mostly revolving around the worlds of motor racing and aviation. 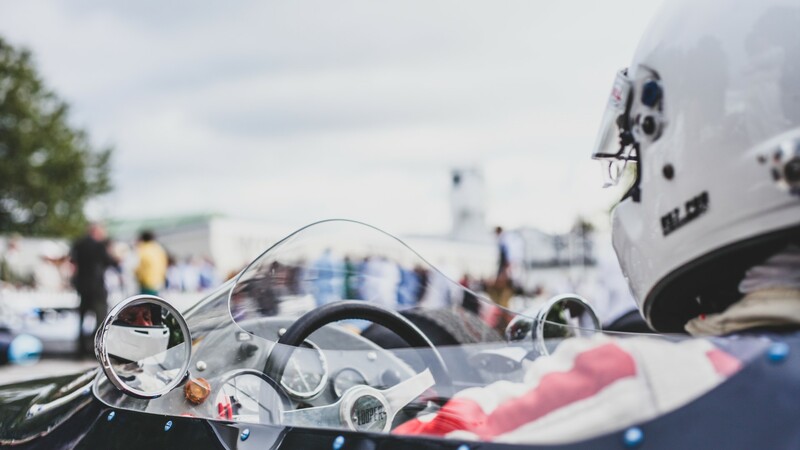 The Freddie March Spirit of Aviation seeks to celebrate his connection with flight, while also giving a nod towards Goodwood Motor Circuit’s period as RAF Westhampnett during the Second World War. 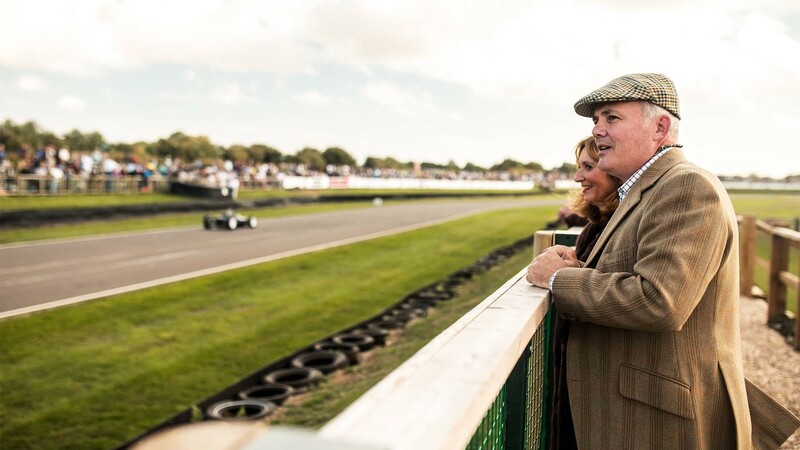 The event is defined by its period dress code (tweeds and trilbies for men, furs and frocks for the ladies), and by its refusal to allow modern cars within the circuit on race days. Each day, a panel of fashion experts pick out guests with the finest outfits, with a shortlist invited to take part in the daily Best Dressed competition presented by Mastercard. 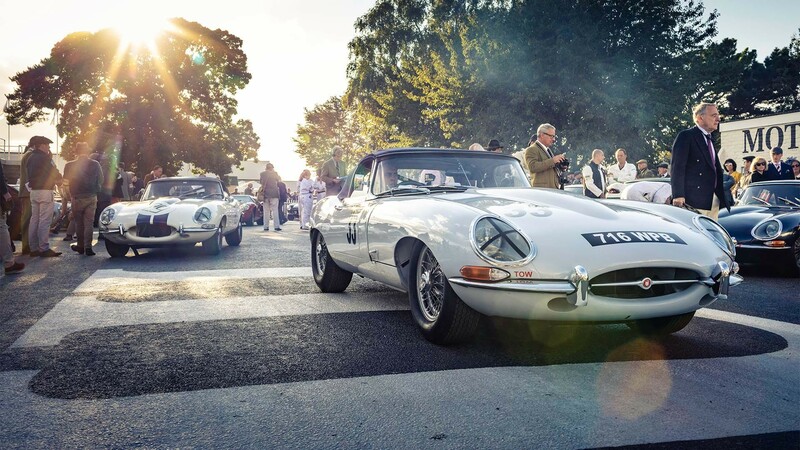 Fashion lovers will love the Revival too, with a variety of ‘Swinging Sixties’ celebrations taking place across the Motor Circuit, including beautifully curated fashion shows.